STICK MEN: "Hide The Trees", de Power Play, Iapetus Records, 2014. 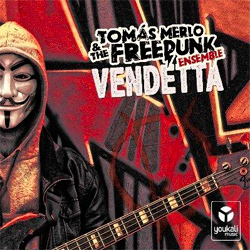 TOMÁS MERLO FREEPUNK ENSEMBLE: "Celebración", de Vendetta, Youkali Music, 2013. AARTI: "Febrero", de Tritonia, Quadrant Records, 2014. 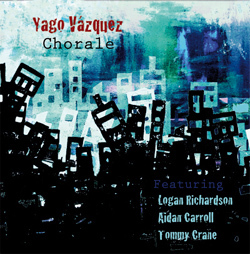 YAGO VÁZQUEZ: "Blank Music", de Chorale, Free Code Jazz Records, 2011. 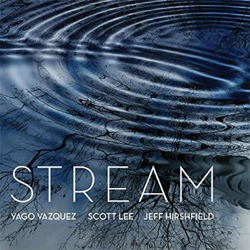 FELIPE VILLAR TRIO: "Lisa", de Outro, Free Code Jazz Records, 2015. THE IMPOSSIBLE GENTLEMEN: "Barber Blues", de Internationally Recognised Aliens, Basho Records, 2013. PETE OXLEY & NICOLAS MEIER: "Breezin' On", de Chasing Tales, MGP Records, 2015. 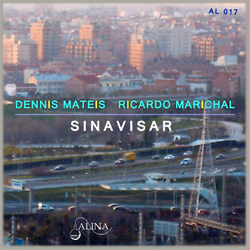 DENNIS MATEIS & RICARDO MARICHAL: "Déjate Llamar", de Sinavisar, Alina Records, 2015. ANIMALS AS LEADERS: "Weightless", de Weightless, Prosthetic Records, 2011. PLINI: "Ko Ki", de Ko Ki, Plini, 2014. XADU: "Decaying Sky", de Random Abstract, Moonjune Records, 2015. JAZZEROS INOXIDABLES: "Forgedabaudit", de Roots, Autoeditados Distro, 2011. 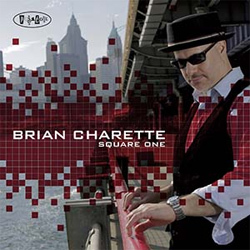 BRIAN CHARETTE: "Time Changes", de Square One, Posi-Tone Records, 2014. 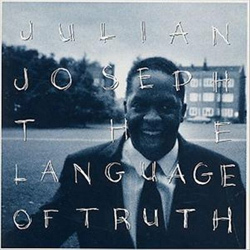 JULIAN JOSEPH: "The Language Of Truth", de The Language Of Truth, Warner Records UK, 1991. 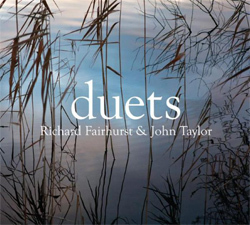 RICHARD FAIRHURST & JOHN TAYLOR: "3P's Piece - Part I", de Duets, Basho Records, 2015. ARILD ANDERSEN: "Eight And More", de Mira, ECM, 2013. SKYHARBOR: "Halogen", de Guiding Lights, Basick Records, 2014. MORAINE: "Sinecdoche", de Groundswell, Moonjune Records, 2014. 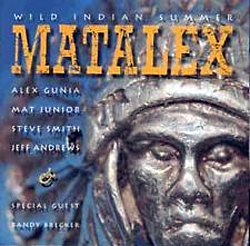 METALEX: "She Did It Again", de Wild Indian Summer, Lipstick Records, 1993. GONGZILLA: "Allan Qui? ", de Suffer, Lolo Records, 1995. ROBERTO SOMOZA: "Elephant Run", de The Modal Jazz Concepts, Roberto somoza, 2014. 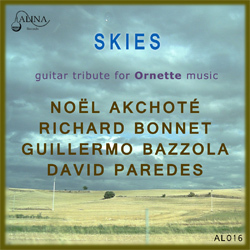 GUILLERMO BAZZOLA: "House Of Stained Glass", de Skies: A Guitar Tribute For Ornette Coleman, Alina Records, 2015. PACO CHARLIN: "Fisys Planet", de Traffic Development, Free Code Jazz Records, 2012. 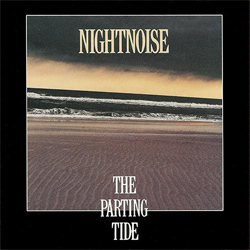 NIGHTNOISE: "Jig Of Sorts", de The Parting Tide, Windham Hill, 1990. FREAK ZOID: "The GizmoTronix", de Freak Zoid Returns, Uniblab Recordings, 2011. SCOTT JONES: "Give It Time", de Remember, Scott Jones, 2015. 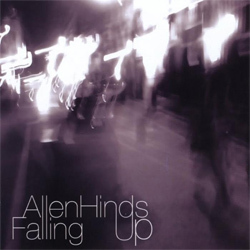 ALLEN HINDS: "Then Again", de Falling Up, Allen Hinds, 2008. TELMO FERNÁNDEZ ORGAN TRIO FEAT. PHIL WILKINSON: "Blues For Someone", de The Soul Jazz Beat Vol. I, Free Code Jazz Records, 2015. DAVID VIÑOLAS TRIO: "Impro #1: Nit A La Segarra", de Cap Al Capvespre, Quadrant Records, 2014. RAFA FERNÁNDEZ QUINTETO: "Oniap", de Rafa Fernández Quinteto, Free Code Jazz Records, 2013. HUGO FERNÁNDEZ: "Grounds", de Cosmogram, Origin Records, 2015. 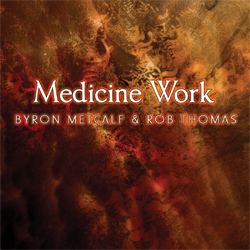 BYRON METCALF & ROB THOMAS: "Gates Of Initiation", de Medicine Work, Dr. Bam's Music & Inlakesh Music, 2013. 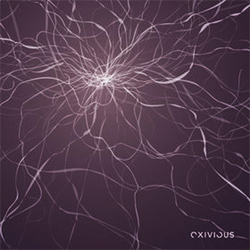 EXIVIOUS: "Embrace The Unknown", de Exivious, Exivious, 2009. XADU: "Deep Ocean", de Random Abstract, Moonjune Records, 2015. SCOTT HENDERSON: "Vibe Station", de Vibe Station, Scott Henderson, 2015. CHRIS POTTER UNDERGROUND ORCHESTRA: "Firefly", de Imaginary Cities, ECM, 2015. STREAM: "Same But Different", de Stream, Fresh Sound New Talent, 2015. DAVID REGUEIRO SWINGTET: "Now's The Time", de Bird Lives!, Free Code Jazz Records, 2015. PETE OXLEY & NICOLAS MEIER: "Uzub Ince Bir Yoldayim", de Chasing Tales, MGP Records, 2015.